Look Mom! A new 'Who Shot Ya?'! 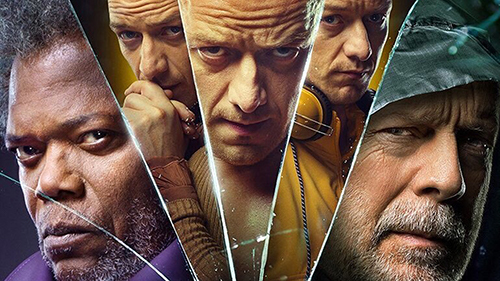 This week the crew is joined by the delectable Jared Logan ('Best Week Ever', 'I Love the 2000s') and they're talking about the new Shyamalan joint, Glass. The gang vents their frustration over having to watch Unbreakable, Split, and Glass in order to prepare for this week's episode. They also dissect the work of M. Night Shyamalan and the traps he seems to frequently fall in to. They analyze the Oscar nominations and determine whether the Academy listened to any of their recommendations. And lastly, as always, staff picks. In news, Ja Rule is also a victim of the Fyre Festival, Leslie Jones is not happy with the new Ghostbusters, and several major theater chains will not screen Roma. With April Wolfe, Jared Logan, Alonso Duralde, and Ricky Carmona. Produced by Casey O'Brien and Laura Swisher for MaximumFun.org. Nobody Listens to Paula Poundstone Ep 25: Escape From 2018! As we wait for the ball to drop from high above Miranda Street, Paula and Adam review 2018... and how much it sucked! Still, there were some high points - weren’t there? Maybe a certain podcast making its debut...? We ring in the New Year by sampling some of our listeners’ lowest expectations for 2019. Also, with M. Night Shyamalan’s “Glass” poised to hit theaters, we review the first of its two prequels, 2000’s “Unbreakable,” starring Bruce Willis, Samuel L. Jackson, and the surprising hair stylings of Robert Louis Stevenson. This week, we could not be more excited to have the director of the new film Like Father, Lauren Miller Rogen! Like Father stars Kristen Bell and Kelsey Grammer as an estranged daughter/father who accidentally end up taking a honeymoon cruise together after Bell's character is left jilted at the altar. 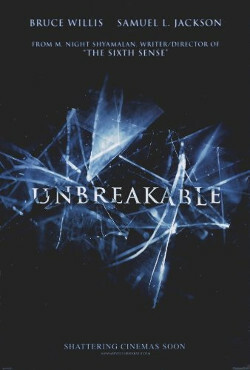 The movie that Lauren chose to talk about this week is M. Night Shyamalan's Unbreakable. Lauren discusses the effect this film had on her when she was in film school and how it recently resurfaced in her life with the release of the trailer for its sequel, Glass. She elaborates on the process of shooting a movie on a cruise ship - from clothing choices to working with the parrot donning captain. Plus she discusses what it was like directing Kelsey Grammer and allowing him the opportunity to play a character that he does not normally get to play. You can see Like Father on Netflix now.